Beautiful border with medallion pattern, this carpet is "One of a kind". It has a perfect color combination. This is highly durable carpet. 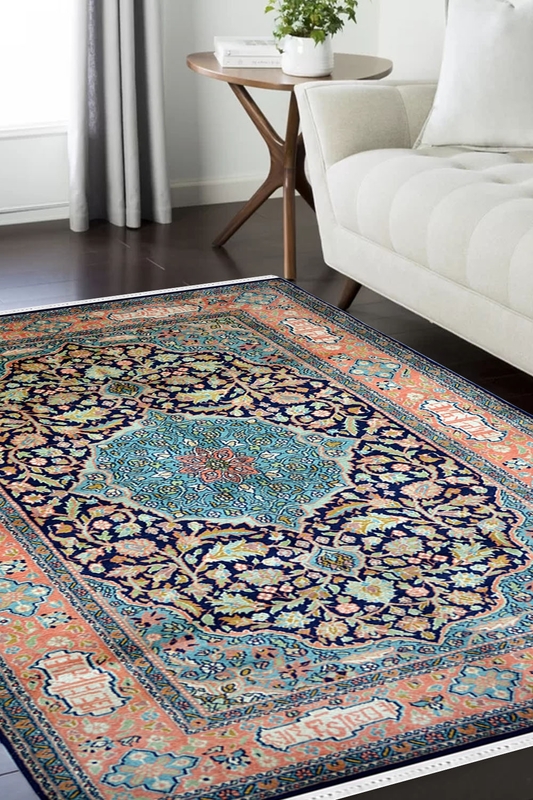 - Kashan Medallion is one of the most traditional design pattern which is only possible in Hand Knotted technique. - This carpet is woven in same design pattern. - The ground is in blue color and medallion in sky blue color. - The ground is filled with tiny floral motifs. - This carpet is 100% hand washable and has taken about 8-9 months to weave.